Little Phonics is a four-level series for kindergarteners. With a carefully organized syllabus, it provides a simple and systemic way of learning basic phonics. Throughout the series, children will love the fun stories, bright illustrations, exciting games, and entertaining clap chants and songs. With Little Phonics, children will not only be able to acquire the basic reading skill of word mastery, but also delight in doing it. 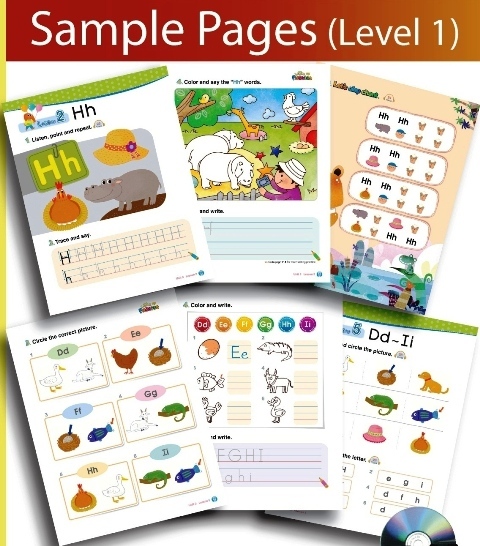 Check out some sample pages from "Little Phonics 1 Student Book"